Stig Eliasson is Professor emeritus and former Director of the Program of Northern European and Baltic Languages at the University of Mainz, a position that he held from 1995 until his retirement in 2002. He studied Russian at the Swedish Army Interpreter School in Uppsala, Slavic Languages, German Language and Literature, Phonetics, and Pedagogy at Uppsala University, and General Linguistics at Stockholm University, receiving his M.A. in Slavic and German from Uppsala in 1963. In 1964–70 he studied General Linguistics, Germanic Philology, Scandinavian Languages, and Sanskrit at Harvard University, Cambridge, Mass., where he earned his Ph.D. in Linguistics under the supervision of the Scandinavianist and sociolinguist Einar Haugen. For many years, Eliasson worked in the Uppsala Department of Linguistics, he taught several times as Visiting Professor at the University of Minnesota, where he was appointed tenured Associate Professor in 1989, he was a Visiting Scientist (Honorary) at Massachusetts Institute of Technology, and has lectured widely at universities in Europe, North America, Israel, Australia and New Zealand. Eliasson founded the Nordic Association of Linguists (NAL) in 1976, serving as its President for seven years, and chaired the Advisory Committee for Swedish Language Teaching Abroad at the Swedish Institute in Stockholm from 1980–86. In the years 1995–2000 he built up the study and research program of Northern European and Baltic Languages at the University of Mainz. In 2008 he was awarded a major research prize by the Swedish Academy and made an Honorary Member of NAL. Eliasson’s research interests fall into the areas of phonology, psycholinguistics, language contact, code-switching theory, contrastive linguistics, second language acquisition, language history, and runology, and the languages of his special interest include the Nordic languages (esp. Swedish), the Polynesian languages (Maori), and Basque. 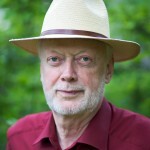 In a series of publications, he has discussed the ‘architecture’ of linguistic models, particularly the issue of (inter-level) directionality in language, and developed a proposal for a unified psycholinguistic model that connects phonological rules with general cognitive processes in a so-called cognitive calculus. In the field of code-switching theory Eliasson has, on the basis of Maori-English code-switching data, paid prime attention to the validity of certain universal principles that allegedly govern the bilingual individual’s use of his/her different linguistic codes. His research in Swedish phonology has focused on the phoneme inventory, phonological rules, and abstractness-concreteness issues, generally with a strong empirical bent. His most recent articles deal with Swedish phonology in the light of word- and syllable-language typology, quantity in German and Swedish, the Swedish-Norwegian historical chain shift of long back vowels, phonotactic complexity introduced into Swedish via lexical borrowing, the phonology of Faroese, vigesimality or twenty-based counting in the numeral systems of Old Danish and Basque, Basque morphology in a language-contact perspective, the analysis of linguistically unidentified runic inscriptions, and the rise of language ecology as a separate domain of linguistic study.